IIM Admission Criteria 2019-21: Around two lakh students appear every year for the Common Admission Test (CAT) conducted by Indian Institute of Management (IIM). 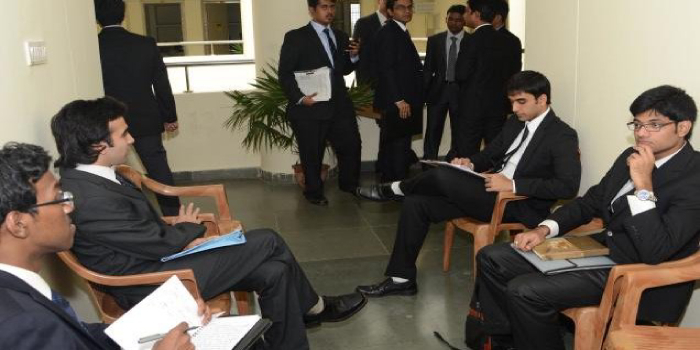 However, only a few thousand candidates manage to qualify for the exam and make it to IIMs. Candidates are short-listed for the admission process in different IIMs on the basis of their CAT scores. There are 20 IIMs in the country and each one of them has different admission criteria. Till date, only IIM Ahmedabad, IIM Calcutta and IIM Lucknow have released their admission criteria for 2019-21 batch. Rest of the IIMs are likely to release their admission criteria soon. In this article, Careers360 presents the IIM Admission Criteria 2019-21 for different IIMs. The IIM admission criteria 2019-21 will help the aspirants to know how much they need to score to get shortlisted for the admission process. CAT is a nationwide management entrance exam which is conducted by one of the IIMs every year on a rotational basis. CAT 2018 will be conducted by IIM Calcutta on November 25, 2018, Sunday. According to the IIM admission criteria 2019-21, candidates appearing for CAT 2018 must have a Bachelor’s Degree with at least 50 per cent marks (for General category) and 45 Percent (for SC, ST and PWD category) or equivalent CGPA from any recognised university. Candidates appearing for their final year Bachelor’s degree examination may also apply. It is important to know that the admission criteria of each IIM is independent to mandate their own eligibility criteria including CAT score, academic cut-offs, past academic performance, relevant work experience etc. All the IIMs usually follow a two-step selection process. First, short-listing on the basis of CAT score and then WAT and PI rounds for the short-listed students. Candidates who fulfil the first stage of the admission criteria (CAT) are called for WAT and PI rounds. 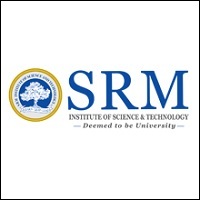 Different IIMs as per their admission criteria offer admissions to the selected students. Let’s have a look at the admission criteria of different IIMs for the batch 2019-21. Most of the IIMs give maximum weightage to Personal Interview and CAT score for admissions. However, factors like academic cut-offs, past academic performance, relevant work experience, gender diversity etc. also play a major role in the final selection. Each IIM has its own admission criteria. The old IIMs including IIM Ahmedabad, IIM Lucknow and IIM Calcutta have released their admission criteria for 2019-21. As compared to the previous year, there has not been much change in terms of CAT cutoff or selection procedure and criteria. IIMs do not conduct any common counselling process. The six new IIMs conduct Common Admission Process (CAP) which includes common WAT and PI rounds. However, the participating institutes declare separate merit lists. The recent IIMs, IIM Sirmaur and IIM Jammu, both mentored by IIM Lucknow do not conduct WAT-PI rounds and declare merit list based on CAT score, past academic records, work experience and diversity factors. This article of Careers360 brings to you the snapshots of IIM admission criteria 2019-21. 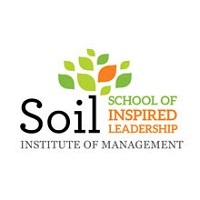 You can also check the Institute wise detailed IIM Admission Criteria 2019-21 as well. As mentioned earlier, the final selection of candidates at IIM Ahmedabad is based on different factors - Performance in CAT, AWT & PI, academic, co-curricular and extra-curricular achievements, work experience etc. Candidates need to score the below given overall percentile (category-wise) in CAT 2018 to get short-listed for the admission process. The short-listed candidates will be called for PI & WAT rounds. After these rounds, all the deciding factors will be taken into consideration before finalising the admission. For the final selection procedure, IIM-C gives maximum weightage to Personal Interview (48), followed by CAT score (30), WAT (10), work experience (8) and past academic performance (2). The calculation is based on a computation process. IIM Lucknow first shortlists the students on the basis of their CAT score. There is different sectional and overall CAT cutoff for different categories. General category students need to score 90 percentile while NC-OBC, SC, ST and PWD category students need to score 82, 70, 65, 65 respectively to get short-listed for the admission process. For the final selection of a candidate, IIM-L has given maximum weightage to the Personal Interview round (40) followed by CAT score (30), academic performance (10), WAT (10), work experience (5) and diversity factor (5). Candidates need to score at least 12 points out of 40 in Personal Interview to clear the round. Candidates who fail in PI will not make it to the final merit list. The admission process at IIM Indore for the academic year 2019-21 has been the same as last year. It follows a simple two-step selection process for admissions. First, it shortlists the candidates on the basis of their CAT’s sectional and overall score. This score differs from category to category. Candidates who fulfil this criterion are called for the next round of the admission process - WAT and PI rounds. Just like other IIMs, IIM-Indore also gives maximum importance to PI. For the final selection criteria, the institute has given 40 points to PI, 20 points to CAT score and WAT each and 10 points to X and XII marks each. Unlike other IIMs, IIM Indore doesn’t consider work experience as a selection factor. The institute also reserves seats for different categories. Other factors taken into consideration for the selection are past academic performance, work experience and diversity. Academic Performance includes marks in Class Xth, XIIth, Graduation and Post-Graduation. The weightage given to each factor is different. Graduation marks get maximum 10 points in the final merit list. The Diversity factor includes Academic Discipline and Gender Diversity. Rest of the IIMs haven't released the admission criteria for 2019-21. Here are the previous year admission criteria of IIMs. The same will be updated here as and when released. Like other IIMs, IIM Kozhikode follows quite the same selection process but doesn’t consider X and XII marks for the final selection. In the first step, candidates are short-listed on the basis of their CAT score (sectional and overall) and marks in X and XII class. CAT cutoff is different for different categories. Then, short-listed candidates are called for PI-WAT (Personal Interview and Written Ability Test). As compared to last year, the CAT cutoff and Class X and XII percentage cutoff have remained same. However, various changes have been brought to the shortlist process and final selection criteria in terms of parameters and the assigned weightages. This year, IIM Kozhikode has removed the Group Discussion criterion and WAT will be conducted along with PI rounds. For the final selection, IIM-K will give 40 per cent weightage to CAT, 30 per cent to PI score, 20 per cent to WAT and 10 per cent to work experience (relevant). Candidates of different categories are shortlisted on the basis of CAT score for WAT and PI rounds. Candidates need to score a certain percentile (overall and sectional) to get shortlisted. The institute has lowered the cutoff in comparison to the previous year. General category students need to score 95 percentile, for NC-OBC candidates - 78, SC - 60 and ST & DAP candidates need to score 40 percentile in CAT. Compared to last year, the IIM Ranchi CAT cutoff for General category candidates has increased by five percentile. Shortlisted candidates will appear for WAT and PI rounds. After that, few other parameters are also taken into consideration at the time of final selection. For the final selection, the institute gives 30 per cent weightage to CAT score, 30 per cent to PI, 10 per cent to WAT and 30 per cent to candidate's profile (academic, work experience and gender diversity). The institute gives 5 marks to female candidates to keep the gender balance in the classroom. However, the maximum weightage is given to the Personal Interview factor (35 per cent) followed by CAT score, Work Experience and Past Academic Performance (20 per cent each). And the 5 per cent weightage is given to the Diversity factor. Female or Transgender candidates will get the 5 per cent weightage in Diversity factor. Like other IIMs, IIM Raipur gives maximum weightage to the CAT score and Personal Appearance round (WAT and PI) in the final merit list for admissions. The institute has made some major changes this year in the entire admission criteria. IIM Raipur has increased the CAT cutoff for General category candidates and has significantly reduced the same for other category candidates for the shortlisting purpose. Candidates who score the minimum percentile set by the institute (overall and sectional) get shortlisted for the next rounds of the selection process which are WAT and PI. However, the final admission will be offered to the candidates who meet the entire criteria on each stage. The institute has the right to change in the shortlisting and selection criteria at any point. IIM Rohtak divides the weightage to each factor in the final merit list almost equally. Post shortlisting the candidates for WAT and PI on the basis of CAT score, the institute prepares the final selection list which considers the candidate's performance in WAT, PI, CAT score and profile. The minimum eligibility criteria for the General category students to qualify CAT is 80 percentile in each section and 95 percentile overall. WAT and PI rounds are conducted for the shortlisted candidates and then the final merit list is prepared. The below-given table explains the weightage to each factor in the final merit list. Candidates who meet the performance criteria mentioned in the table are likely to get the admission call from IIM Rohtak. The candidates who fulfill the criteria are offered the admission by the institute. Performance in Personal Interview holds the maximum weightage in the final merit list followed by CAT score and GD when it comes to admissions to IIM Shillong. The institute shortlists the students on the basis of their CAT score, X and XII marks for GD-PI rounds which is the minimum eligibility criteria. And then prepares the final merit list based on the combined performance in all the selection rounds and academic background will also be considered. IIM Shillong gives 30 per cent weightage to CAT score and 50 percent weightage to PI in the final merit list. GD gets 20 percent weightage. The institute gives maximum 40 percent weightage to CAT score in the final merit list. WAT & PI combined gets 30 percent weightage and Profile of the candidate including Academics, Work Experience and Diversity gets 30 percent weightage. Respected, sir i want to ask about the best coaching institute in kanpur? I want to give cat entrance exam but i don't have any knowledge about the syllabus and subject...can someone tell me about it?? I got 85.6 percentile in january main and i thinks i can get good percentile in april too.i am trying to get some good nit and i am sc cat.